A man is under fire after he saved his dog before his wife from a sinking boat. 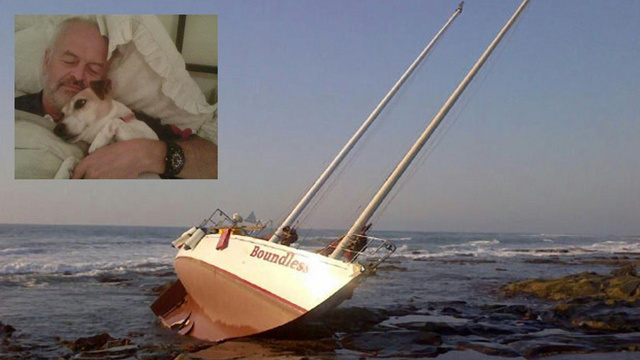 The man, who was forced to abandon ship after running into a reef that nearly capsized the boat, chose to help his dog reach shore before returning to rescue his wife. 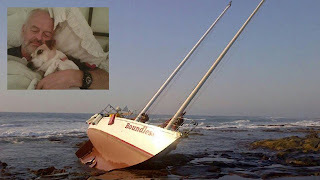 South African couple Graham and Sheryl Anley, who had sailed out to sea for a three-month tour, hit rough waters near East London. "As the incident happened Graham sent a radio distress mayday call and activated the EPIRB, or emergency position indicating radio beacon, but were immediately forced to abandon ship," the National Sea Rescue Institute representative Geoff McGregor said. In a move that probably put him in the dog house for some time, Graham made ​​the decision to save his beloved 9-year-old Jack Russell Rosie first, before ensuring the safety of his wife. "Graham told us that he helped Rosie first by swimming with his to shore before returning to his wife, whose security line had become hooked on the steering gear," McGregor said in a statement. A rescue helicopter arrived at the scene shortly after and transferred the couple and their dog to a rescue base nearby.